I love making bread. It is so simple to make and yet so satisfying. The other day, our bread cupboard was bare so I thought I had better get to it. We don’t eat that much bread during summer but it is always good to have a loaf handy for a toasted sandwich for lunch or for vegemite on toast for breakfast. This time, I felt like making something a little substantial with seeds in it. I also decided to give my rye starter a burl as I hadn’t used it for a while. I looked in the cool room to see what type of flour had been floundering in there a little too long. I settled on some atta flour I had bought to make chapatis. There was just over a quarter of a kilo. I then looked through my container of seeds-n-things and settled on some sunflower seeds that had been there awhile. Next, I flipped through Wild Sourdough by Yoke Mardewi for inspiration (I would love this book if only it had been edited better) I spied her whole spelt, rye and barley sourdough with sunflower seeds. This loaf is very loosely based on Yoke’s recipe. I used the same quantities of sunflower seeds and flours but not the same type of flour. By doing this, the amount of water needed could not be predetermined. I started out with 300g (as per the recipe) and then kept adding more until I was happy with the consistency. 300g ripe 100% hydration rye starter (use a wheat starter if that is all you have). If your starter is a different hydration, adjust the water accordingly. 350g water – start with 300g and add more as you need it. The amount of water you use will depend on the absorption of your flours. Toast the sunflower seeds until about 30% of them are golden – set aside to cool. Put the rye starter, flours and 300g of water into your mixer bowl and mix on low until just combined. Cover with plastic wrap and leave for 20 minutes. Add the salt and knead the dough in an electric mixer for 5 minutes or by hand until it is smooth (about 10 minutes). The dough should clear the sides of the bowl of the mixer and, near the end of the 5 minutes, begin to clear the bottom of the bowl. If it clears the sides and the bottom early in the kneading process, add a bit more water (I ended up adding another 50 grams). Add the sunflower seeds and mix on low until they are combined with the dough. Transfer the dough to an oiled bowl, cover with plastic wrap and leave for 50 minutes. Turn the dough onto a lightly floured bench and do a stretch and fold. Return the dough to the oiled bowl. Cover and leave for 50 minutes. Do another stretch and fold, return the dough to the oiled bowl and leave for another 50 minutes. Divide and shape the dough into two. I decided to make two small sandwich loaves. I made 2 batards and then placed them right side up in my bread tins. My tins are 17.5 cm long and 10.5cm wide at the top. Alternatively, you could make one medium loaf, in which case use one tin about 24cm long and 10.5cm wide at the top or make one free-form loaf. If you are a making free-form loaf, place the loaf upside down in a bowl lined with cloth and generously sprinkled with flour (or place the loaf in a banneton). Cover and leave to rise again until almost doubled in bulk. In this weather, mine took 3-4 hours. Alternatively, if it is late, place the loaves in the fridge overnight. Next morning, take them out and leave to rise until almost doubled in bulk. An hour before you are ready to bake, preheat your oven. Place a ceramic tile on a shelf in the bottom third of your oven, put a tray (a Swiss roll tray is ideal) on the bottom shelf and preheat your oven to its hottest temperature. When ready to bake, pour about 2 cups of boiling water into the tray, place the tins in the oven on the tile. Turn the oven to 235˚C and cook for 10 minutes. Spray the loaves 2 or 3 times with water in the first few minutes. Reduce temperature to 210˚C and cook another 25 minutes. Take loaves out of the oven and release them from their tins. Cool on a cake rack. If you are making a free-form loaf, follow the baking instructions in my Pain au Levain with Mixed Sourdough Starters post. Here is the link. 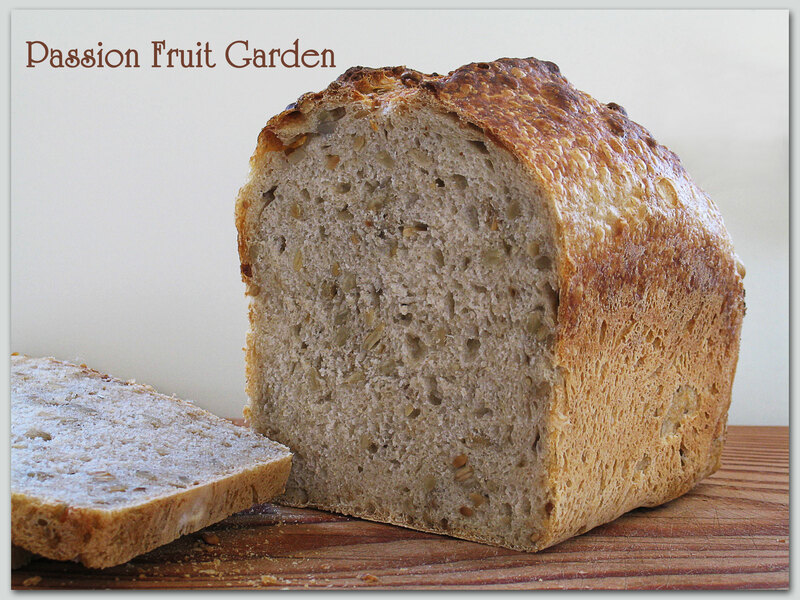 If you are making one medium loaf rather than two small loaves, cook it for abut 45 minutes. Remember, if you live in Perth, the South West or thereabouts, you are more than welcome to my sourdough starters. I have a wheat starter and a rye starter. This entry was posted in Bread, Sourdough and tagged Rye starter, Sourdough starters Perth, Sunflower seed sourdough, Yoke Mardewi by Glenda. Bookmark the permalink. Glenda, this looks delicious… happy baking. Oh every time you post bread my mouth starts watering. I love any slice of bread with just melted butter dripping all over it but I’ve got to be honest, when I visited Australia I tried vegemite… can’t say I liked it that much but I guess it’s an acquired taste. Hi Diane, Vegemite is an acquired taste. We are brought up on it from a very early age so no wonder we like it. We were brought up with peanut butter and jelly sandwiches as kids but now with half of American kids allergic to nuts some schools don’t even allow other kids to bring that in to school. Maybe now, Vegemite will catch on – maybe I’ll look into importing it to sell in the States. Beautiful loaf. I’ve been asking bread bakers out in blog land about sourdough starters made entirely with spelt. Wheat gluten is very upsetting to my digestive system but I can tolerate a little spelt and would love to get back into making bread, but it has to be 100% spelt. In the past I made a starter with flour and the water that potatoes were cooked in, it was a great success, do you see any reason why spelt would act differently? Hi Sandra, Spelt would work exactly the same. 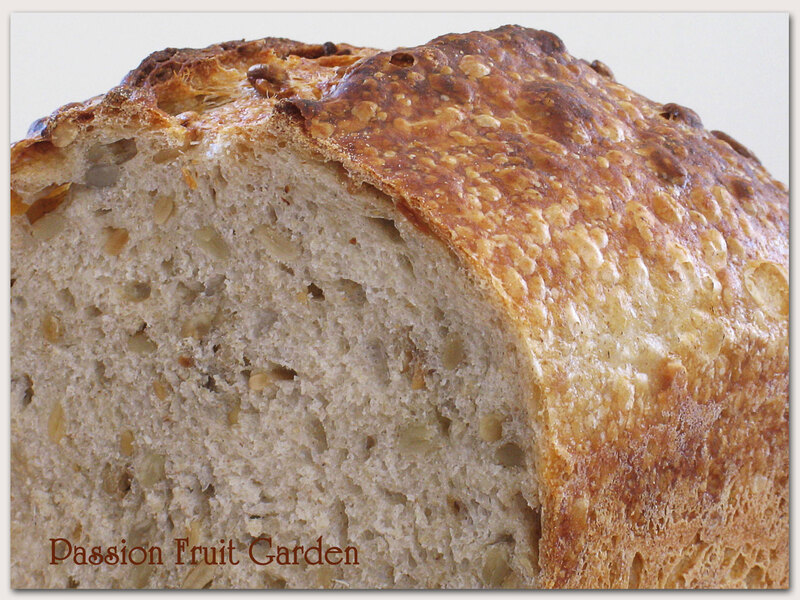 Check out my spelt sourdough bread – here is the link. If you have a wheat starter and want to convert it to spelt, just start feeding it spelt flour. After two or three feeds, it will be virtually all spelt. You can also use a rye starter to make spelt bread. Glenda, just a quick question. The ceramic tiles you put in the oven, are they just regular glazed floor/wall tiles? Would a pizza stone make a good sub? Thanks for you input, I really appreciate it! Hi Sandra. A pizza stone is fine but, much better (because they are thicker and cheaper), are unglazed terracotta tiles. You can buy them from most tile shops. I paid $2.00 each for mine. Buy a couple extra because they will eventually crack. Thanks Celia. Nothing compares to your beautiful bread. My father always makes sourdough bread every Saturday with his own starter. It has mainly rye in it. I have some in my kitchen that needs a bit reviving. I let it dry onto the side of the bowl and then I revive it with water when needed. Your bread looks so delicious and nutritious. Thank you for sharing. Hi Laila. It would be a good time to revive it. It is so cold your way you can’t do much else :).